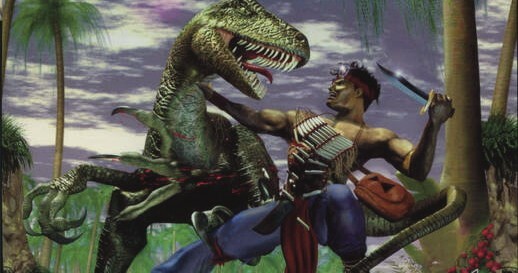 A special remastered version of Turok - Dinosaur Hunter released on December 17, 2015 for PC. It changed nothing in the gameplay. The makers have only slightly improved the graphics, where Turok - Dinosaur Hunter Remastered still comes in a pixelated shape. Nevertheless, fans of classic Dino Adventure Game will pleased with the trip down memory lane. In addition to the graphics improvements, the game has been optimized inter alia for the widescreen. Moreover, supports also higher resolutions and most of all compatible with current operating systems. In addition to the above improvements, the makers also have OpenGL integrated and dynamic lighting and a FXAA antialiasing. The light and the water were also graphically improved again. You can also customize your control with the mouse, keyboard or gamepad.